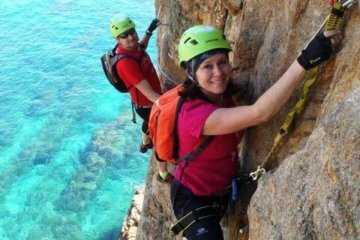 The activity will be placed in our center in Tamariu (Costa Brava) it will be consisting in a half day tour with many entrances to caves and narrow passages that make this tour entertaining and amusing. 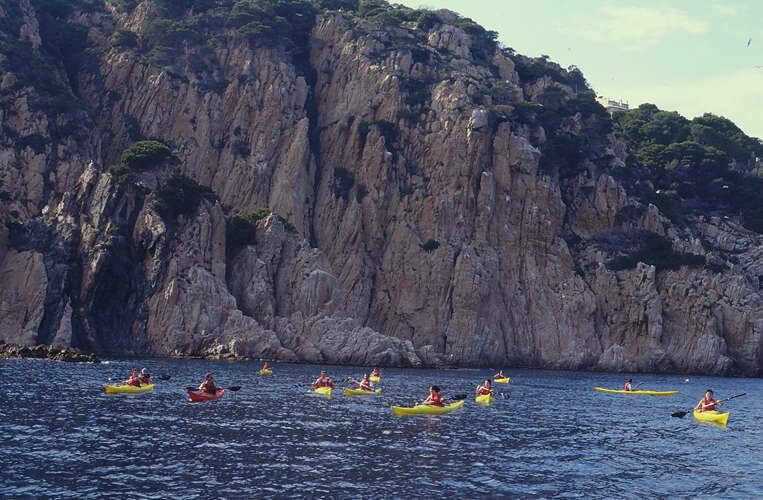 The day starts at the PaddleinSpain Centre Group – this center has several meeting points along the coast, depending on your tour. This tour has the meeting point in Tamariu ( Palafrugell) Semiurban beach, very crowded golden sand.This coast is less abrupt and striking, yet its vegetation is lusher. 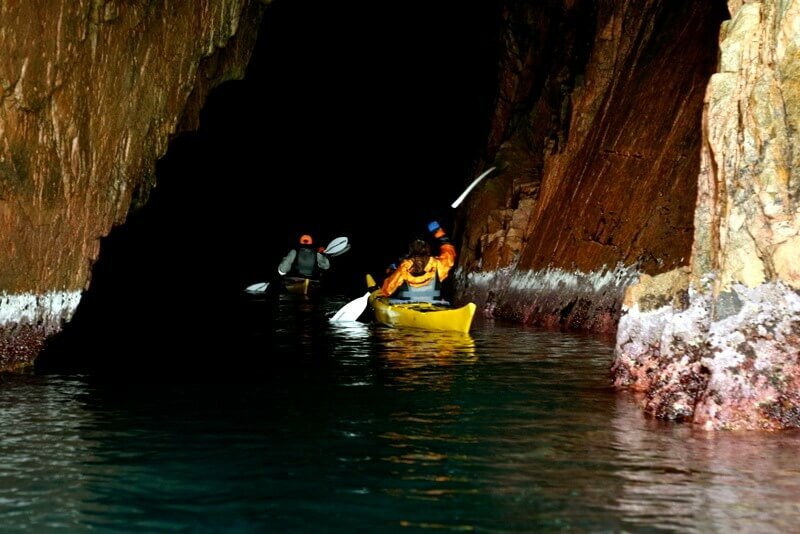 You will meet your instructor, receive your equipment, for this activity we will use a sea kayak, easy to manage and control. We will be getting change and get ready to enjoying the environment. 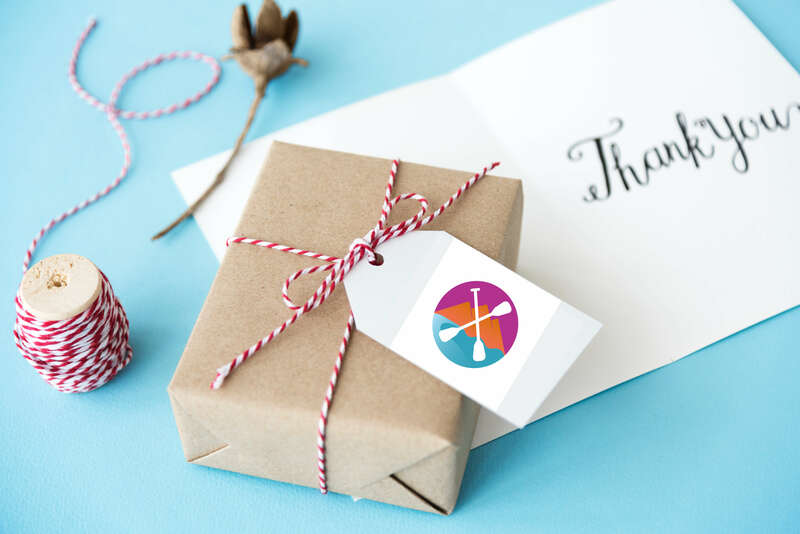 Your instructor will be accompanying you all the time in tour and give you a briefing on safety and paddleing techniques. 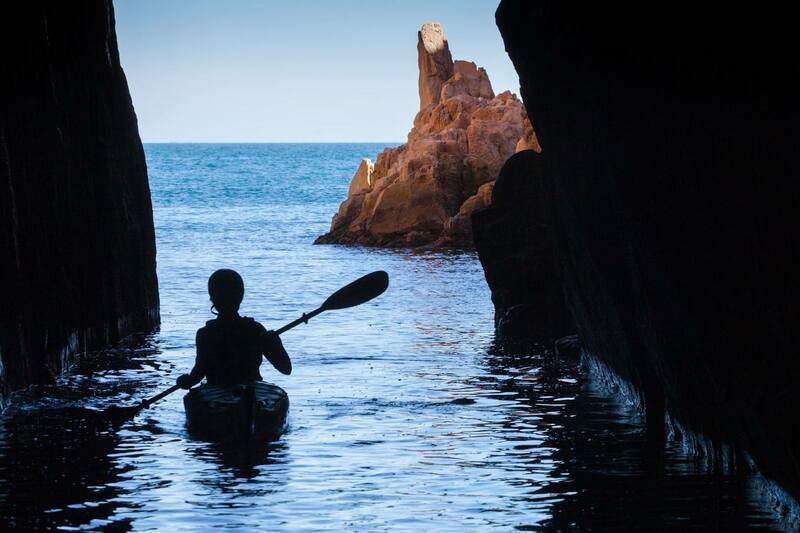 On this trip we will paddle from Tamariu, follow the coast until Cova d’en Guispert, where we take a little break, then return to Tamariu. 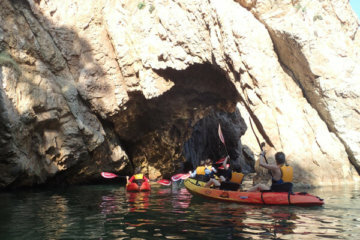 This tour is our shortest and most appropriate tour for absolute beginners, who have never paddled before. 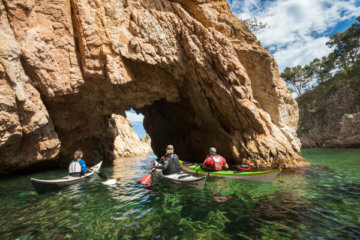 It is a very pleasant segment of the Costa Brava and includes the Cova de’n Gispert, the deepest and most spectacular cave of the area.